I actually don't know how all this reading actually happened, but I am so grateful, this year has been the hardest year in regards to finding reading time. 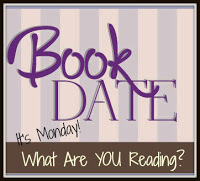 My reading numbers are actually their lowest in a long time, so to have a great week and weekend makes me so grateful! I am seeing the Karin Slaughter book on several blogs. Sounds such a good mystery/murder.